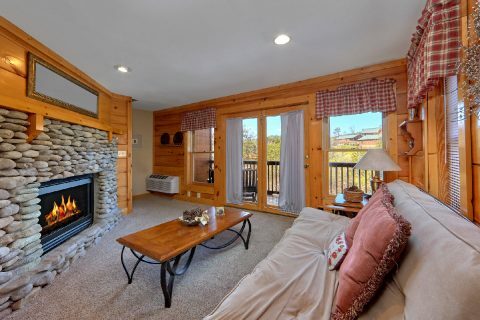 Dainty’s Digs offers everything you need for the perfect getaway! 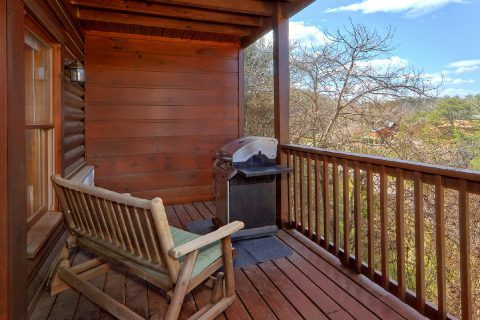 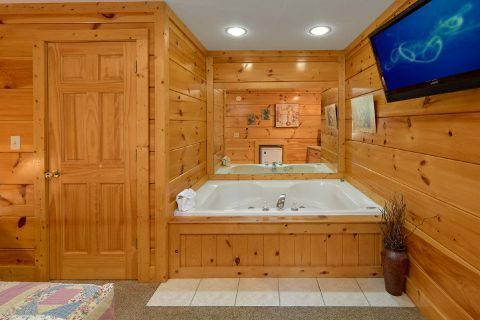 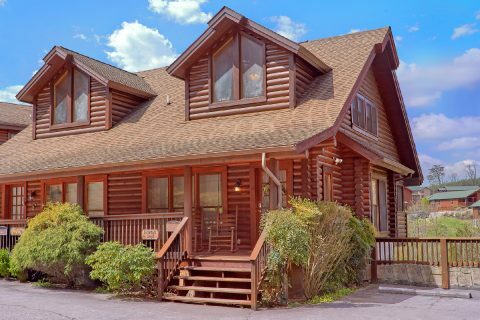 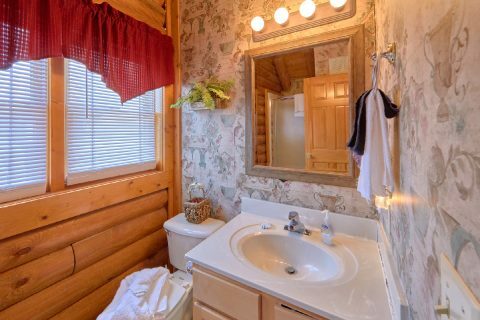 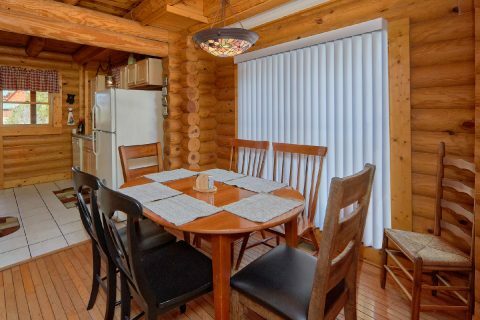 This spacious tri-level cabin duplex is located in Golfview Resort so you will be able to take advantage of resort amenities as well as the beauty of the Smoky Mountains. 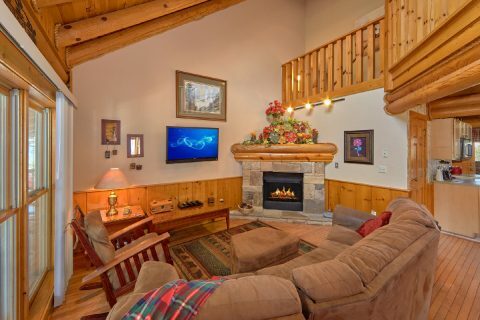 The main level offers you a spacious living area complete with a large screen TV, Blu Ray, DVD player, dining room and full kitchen. 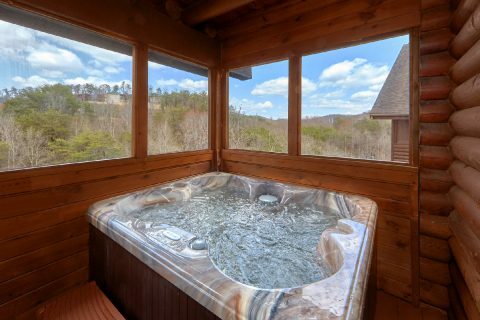 The screened-in porch is the perfect place to relax while you enjoy the soothing hot tub. 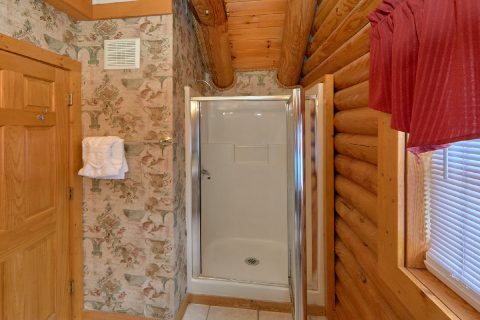 This cabin offers plenty of space for your whole party. 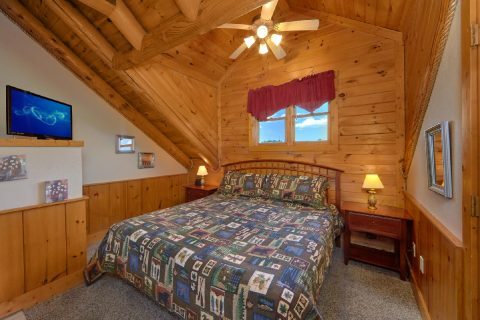 Upstairs, you'll find a spacious master suite complete with the king bed, the Jacuzzi and an extra loft sitting area that offers a queen futon. 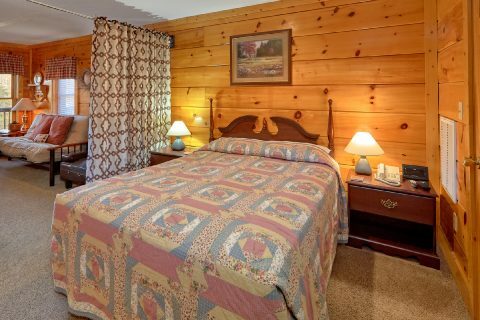 The lower level completes this beautiful cabin with a cozy gas fireplace, a queen bed with a Jacuzzi and a well stocked kitchenette! 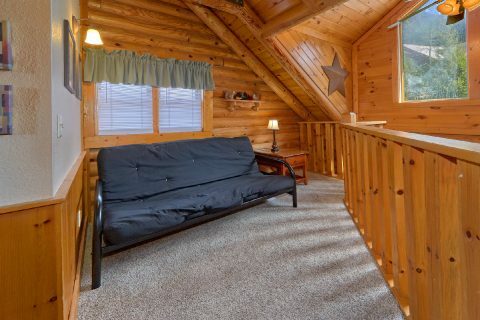 The queen-sized futon on the lower level is an added bonus for extra sleeping space. With a TV/DVD in every room, wireless internet, port-a-crib, booster seat, and a stroller, you will have everything you need to make this your home away from home! 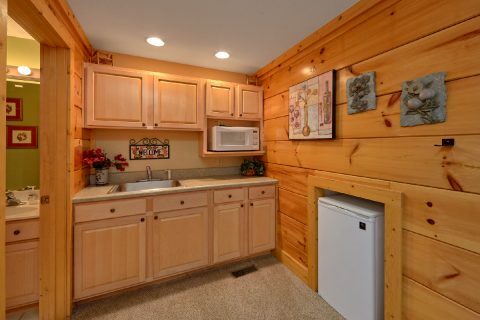 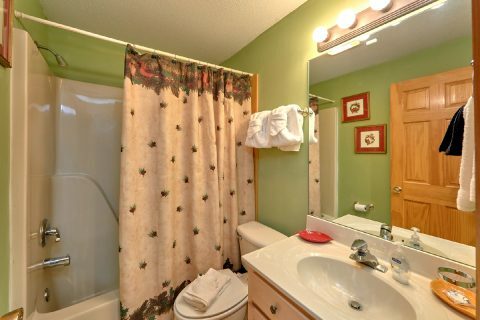 Located on the trolley line just two blocks off the parkway and one half mile from Dollywood. 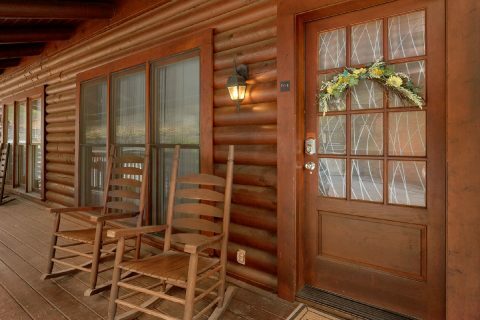 It is the perfect location to enjoy outlet shopping, rides, amusements, dining, and all the excitement of Pigeon Forge and the Smokies. 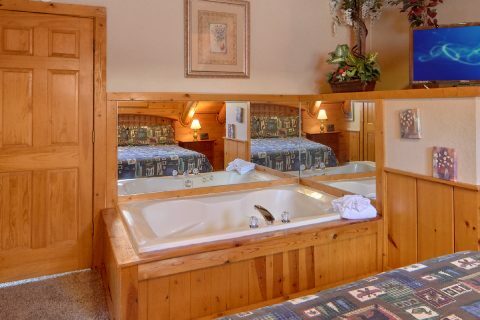 Take a swim and relax at the resorts indoor or outdoor pools. 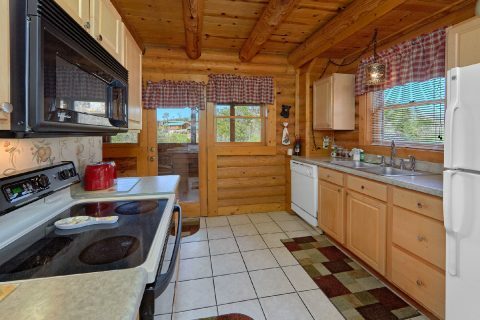 Make this the spot that your family will want to return to year after year!